When I just came to U.S from Japan, I didn't understand one phrase at Starbucks. It was ' Do you need a room for cream? ', and I only caught up the words 'Do you need' and 'room'. My brain was totally messed up. Yuki : why room??? Why do I need a room? 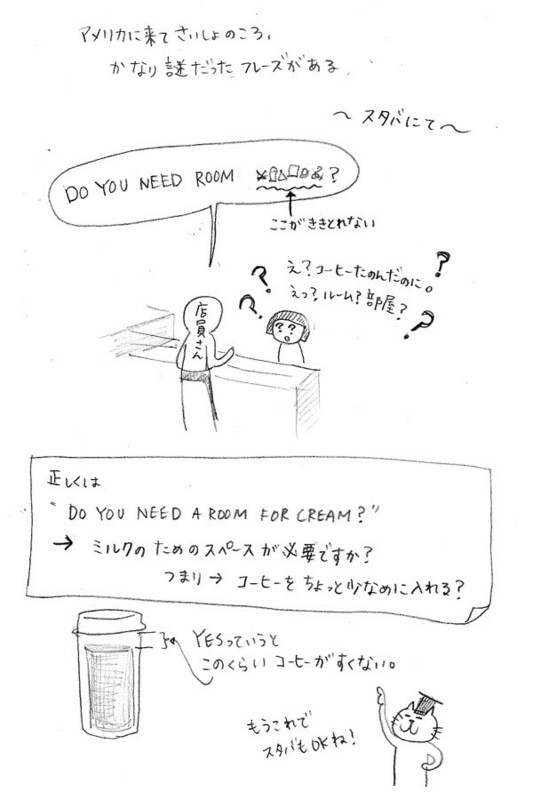 Nyankichi-Sensei : 'Room for cream' means that 'put less coffee so that when you pour milk/cream it won't overflow. 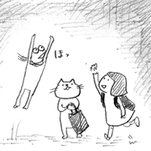 It took for while utnil I catch right phrases. Listening English is not easy! !